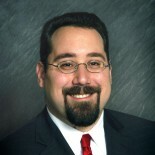 Memphis immigration lawyer Ari Sauer provides news and information on US immigration law. I already have an immigrant petition filed for me. Can someone else file a petition for me in another category?